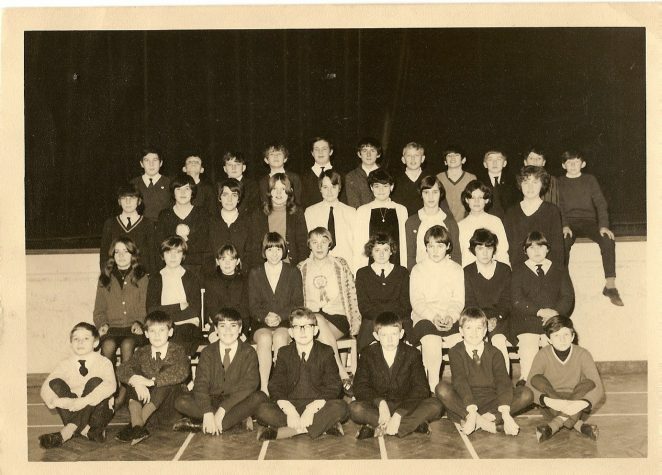 I have recently discovered this site having seen many very familiar names and posts connected with Stanmer School which I attended between 1965 -1970 having attended Coldean Primary beforehand. So many names coming back. Do you recognise yourself or anyone else? If so please post a comment below. ps. I am back row top left. Although I captioned this as 4GCE for the term 1968/9 it could also be class V1 from 1969/70 in our final year. Hi Rob, I don’t think I am in this photo but I can see Gaynor Whatman, Sharon Vane & Keith Moody. I am terrible with names. Are you going to the Stanmer reunion in March? I used to sit next to Keith Moody and I am still friends with Paul Halestrap & Ray Pither & between us we have identified most in this pic.I didn’t know there was a reunion but yes I would be interested if you have details – thanks.